Grant Frost is an experienced Executive, Information Technologist and Security Strategist with extensive experience in both public sector and private sector. Grant is known for and has extensive experience in IT transformation and the ability to increase capability while decreasing cost in IT services. 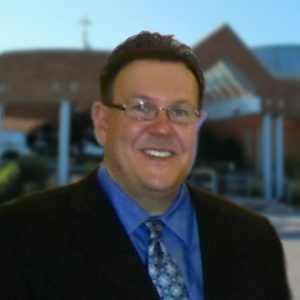 Grant is currently the Chief Information Officer for the Niagara Catholic District School Board where he has been working since 2014. He started his career in Information Technology in his teens developing video games in the 1980s and as a programmer, software & database developer for both a provincial and federal political party as well as for a municipality and business development organization in the Niagara Region. Grant is a graduate of the University of Guelph. Prior to his current position he was a Senior IT Manager for BlackBerry (formerly Research In Motion) in Corporate IT working out of the HQ in Waterloo. Prior to BlackBerry Grant was a Senior Technology Analyst and Software Developer for CI Investments in Toronto.